Receive notifications from Nuclino in Slack and more. Slack is a web-based chat software for teams. Receive notifications about new team members, new workspaces, and new workspace members in a Slack channel. 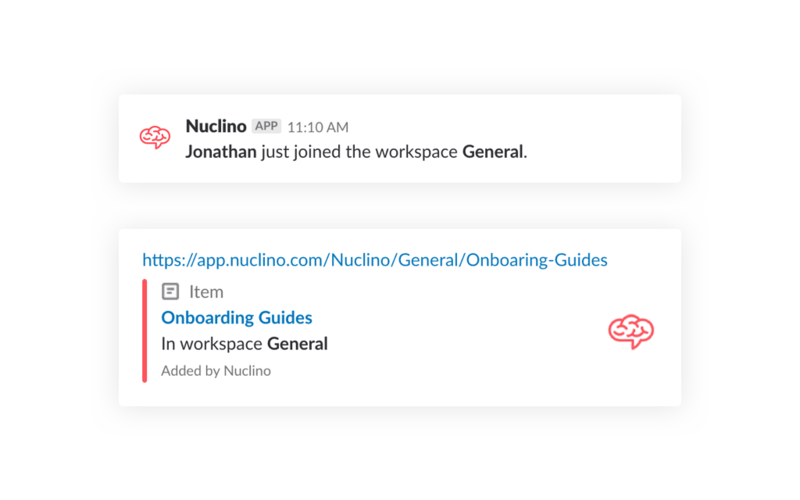 Get the details of an item or cluster when sending a Nuclino link in Slack. This app can be configured via the team settings. Visit the Slack website to learn more about this app. Get help and support for this app via the Slack support.